« Dogbert is a creationist tool! This long-eared fox pictured above is a red fox, part of the same species of fox that now roams across Eurasia, North America, parts of North Africa, and Australia (where it was introduced). 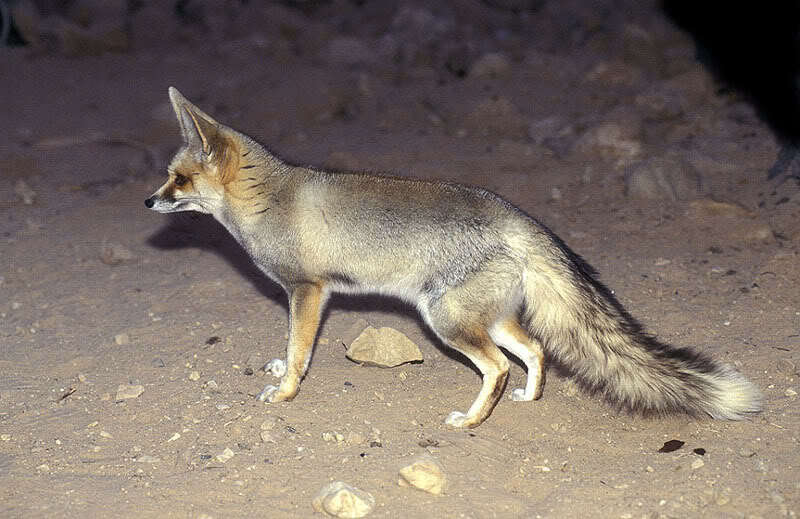 This is the Arabian red fox subspecies, which is found from Syria to Yemen. It is an interesting subspecies, because a recent study revealed that Middle Eastern red foxes are the oldest red foxes. Indeed, the species is now thought to have evolved in the Middle East, and because of the early divergence between Old World and New World red foxes, the authors of the study suggested reviving the old scientific name for the North American red fox, Vulpes fulva. 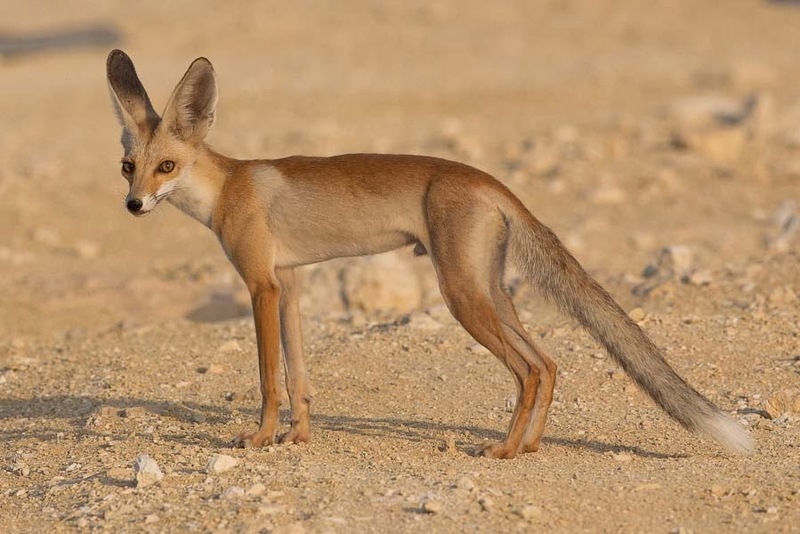 I won’t go quite that far, but I will say that it is pretty amazing that red foxes have been able to spread so far from this ancient Middle Eastern population. That’s because the closest relative of the red fox is another fox found in the Middle East and North Africa, Rüppell’s fox (Vulpes ruepelli). Rüppell’s fox is not widespread, but it is the red fox’s sister species. It is found only from Mauritania to Afghanistan. I say “only” because when you compare this range to the red fox’s vast distribution, it’s actually quite paltry. The red fox is pretty well-studied. It’s widespread, and it’s always been of interest to researchers. In some areas, it’s vermin. In others, it’s a game animal or a fur-bearer. You can find red fox populations within urban centers where elite universities are located, so yes, we do have a lot of literature on them. But there is almost none on the Rüppell’s fox. And if Middle Eastern red foxes are the source for all the red foxes we have today, there is a huge question that I think needs to be answered. Why was the red fox lineage able to conquer the world while the Rüppell’s fox remained only the arid and semi-arid regions? If you look at the two photos of the foxes on this post, you can tell there is a lot of similarity between them. The common ancestor between the two likely looked very much like these two animals. But one of the foxes left the desert and the other remained there. Some of these questions could be answered through observing the differences in behavior, but I also think some genetic analysis is needed. I would not be surprised if these two foxes could still interbreed and produce fertile offspring, so I wonder if there has ever been any hybridization in the wild or introgression between the two species as they have diverged. So we now have the red fox story, but in that story being told, another one has been revealed and needs to be asked. How does the Rüppell’s fox fit into the story? Why didn’t it make to Virginia and England? There is a paper that needs to be written!